This post was submitted by Keshia D. Keith. The author, Keshia Keith, recounts the turbulent experiences she endured, as a result of having postpartum depression. In this captivating book based on her personal account of the physical, emotional, and spiritual battle to cope, Keshia takes us through periods of uncertainty, sadness, frustration, and triumph. During this tumultuous period, Keshia finds herself in the psychiatric hospital wrestling with what is real and what is not. Having been a graduate student for the past two years, she truly entered what she would so accurately title this book-The Classroom of My Life. Keshia D. Keith is a native of South Carolina. She has experienced postpartum depression and has been led to share her awakening. Keshia is a licensed professional counselor (LPC), possessing a PhD in Counseling Studies. Keshia teaches undergraduate and graduate psychology courses. She provides counseling services to various populations, to include children and adolescents, individuals, couples, and families. She has been a military spouse for over sixteen years, which has allowed Keshia to travel and meet other military spouses and families. When she isn’t working, Keshia and her family enjoy spending quality time together at home, visiting with family and friends, playing golf, and traveling. She currently resides in Oklahoma. This book is important because postpartum depression is real. This book will encourage women and men to push through the difficult times and identify the tools needed for a life of reduced stress. Whist on the topic, please check out my post on postpartum fitness. There’s love in sharing, so please click on one of the social share icons to share this post with your friends. Who knows someone might find this book inspiring. 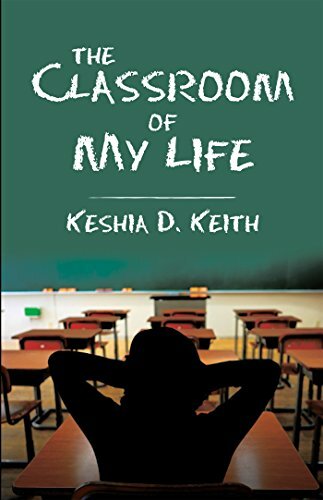 This entry was posted in Uncategorized and tagged author, Keshia D. Keith, post partum depression, postpartum depression, The Classroom Of My Life, The Classroom Of My Life by Keshia D. Keith. Bookmark the permalink.